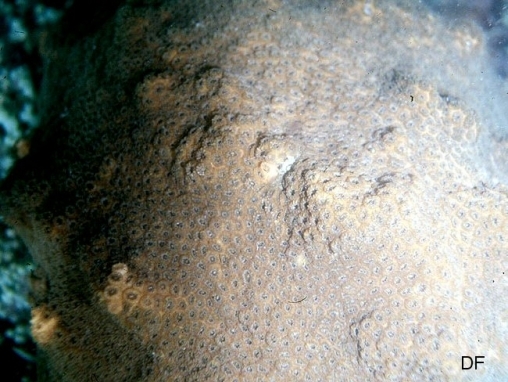 This species forms fairly small and inconspicuous domes, usually fairly smooth overall, but sometimes with bumps. 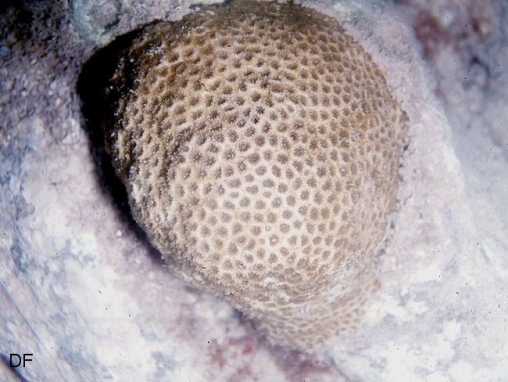 Calices are slightly plocoid, each well separated and with a slightly raised rim. 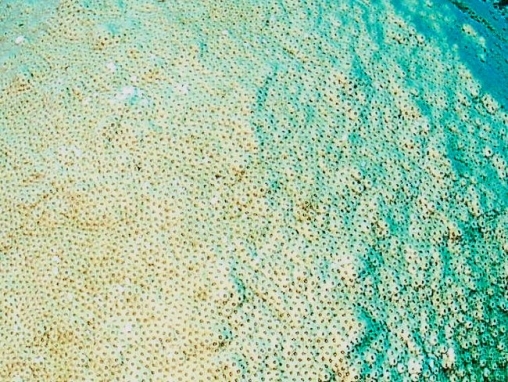 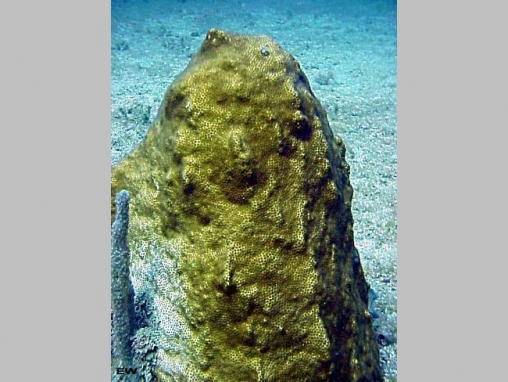 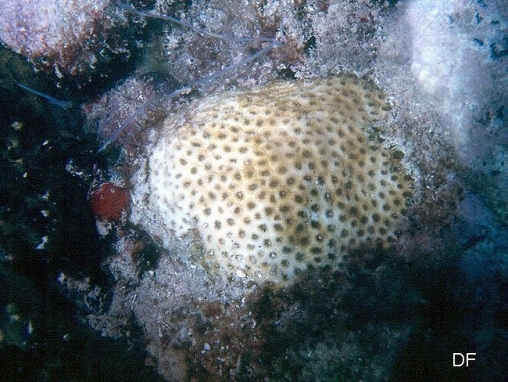 Colonies usually grow on sandy bottoms and like shaded, low visibility habitats. 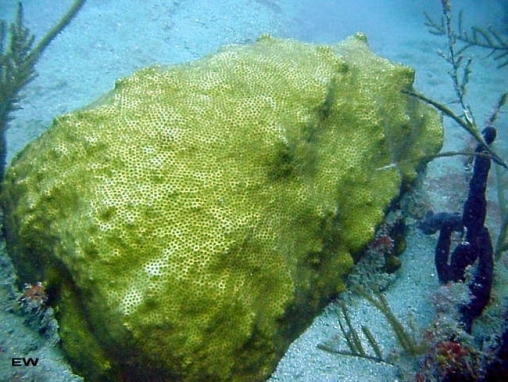 They are usually yellow, cream or pale brown. 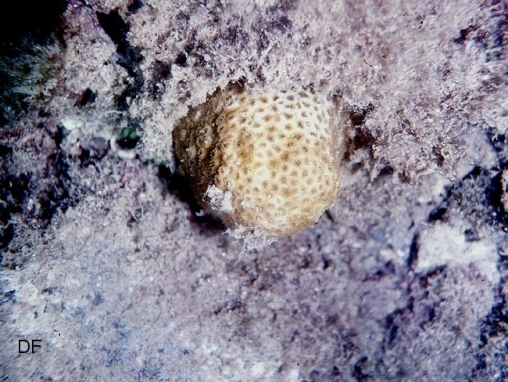 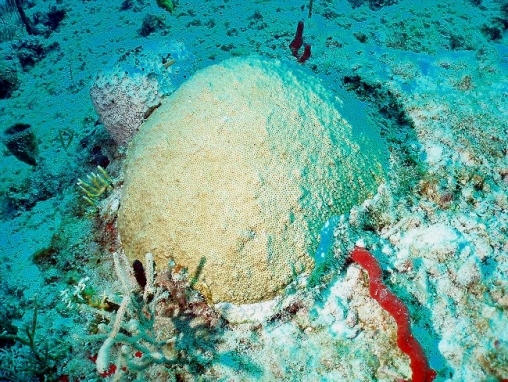 Corallites are small and usually have darker centres.